Happy Thanksgiving to all my family and friends based in the USA. Thanksgiving is my favourite holiday mostly because it is so uncomplicated, all we have to do is remember we have something to be grateful for. The earth laughs in flowers is a quote from Ralph Waldo Emerson a favourite poet. Am pretty sure this photo does the quote justice. 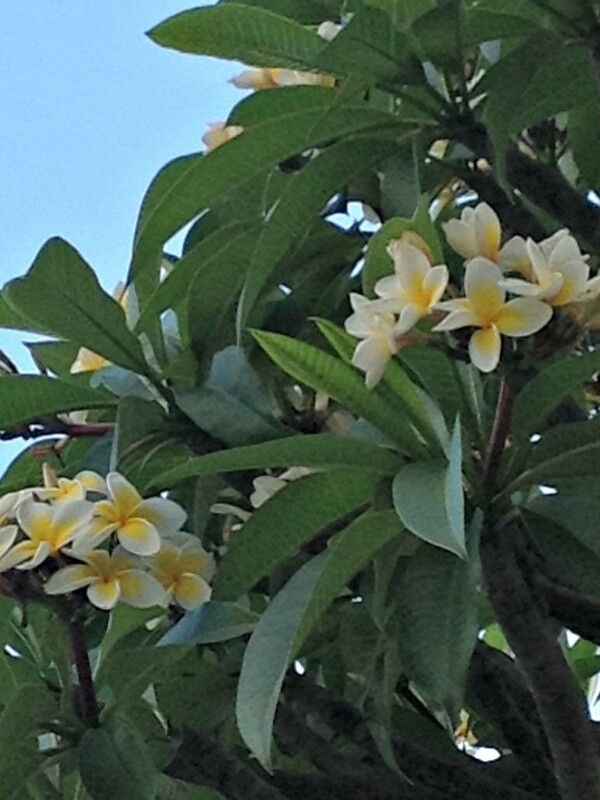 After a few days of steamy tropical rainstorms it only takes a little sunlight to bring these beauties into bloom. Best of all these bright colour frangipani are everywhere. Pretty blossoms and a lovely sky. Beautiful images.. Have a happy weekend! 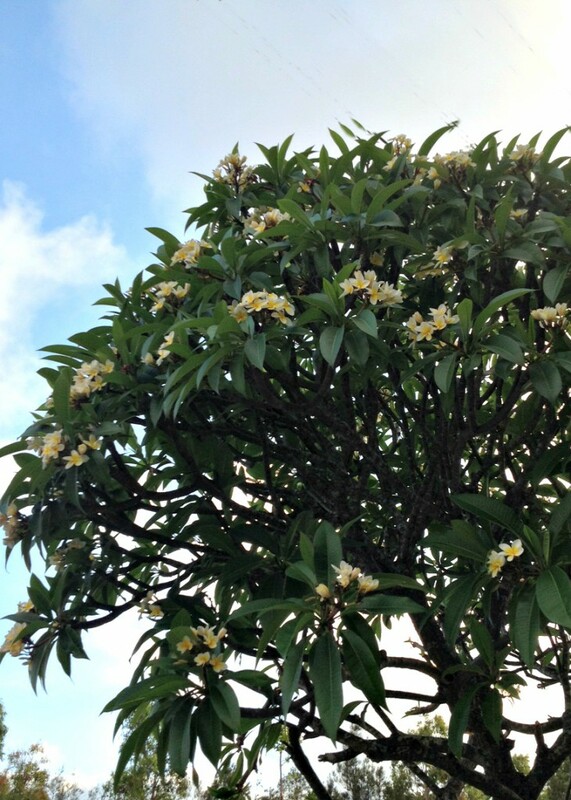 Frangapani’s are one of my favorite flowers and it looks like you have a wonderful sized tree in bloom. Ours this year are a bit slow to flower, and surprisingly one of ours has decided to be a darker pink in color this year instead of tri colored. Hope you had a wonderful week! Wonderful blooms and they looks like oleander flowers! A great week of december!